Our newest fender flares for the Yamaha Wolverine features an all new design that installs into the factory fender bends. 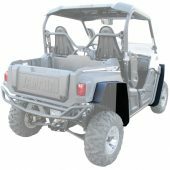 This new design provides excellent protection from debris (mud, water, sand, etc), but will also enhance the aggressive look of your Wolverine! Our fender extensions are made from premium American made materials and offer more coverage than the factory extended fenders to keep you clean! The standard kit is optimal for Wolverines with stock wheels and tyres. Our fender extensions are machine cut from strong American made materials. Every kit comes with hardware, instructions (with pictures), and can be installed in about an hour. *Note: Our front fenders will fit if you have Yamaha over-fenders installed. 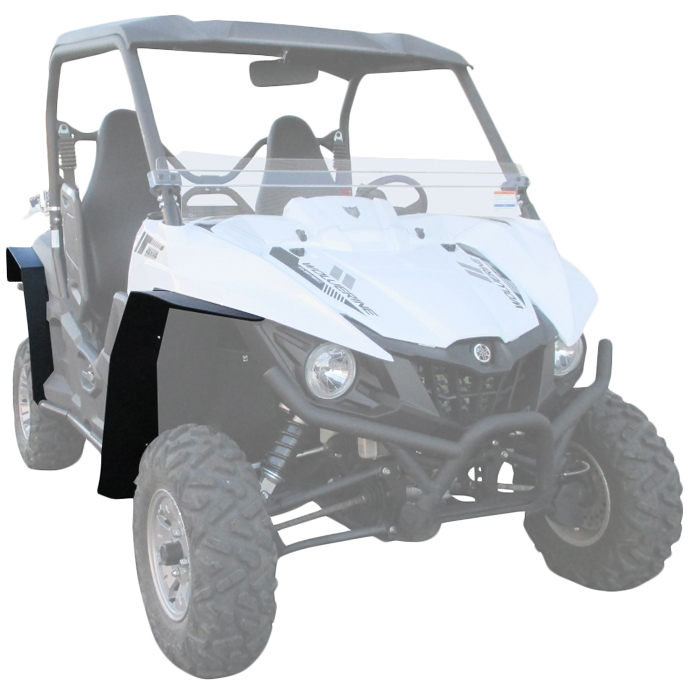 However, our rear fenders will not fit unless the rear Yamaha over-fenders are removed or modified. 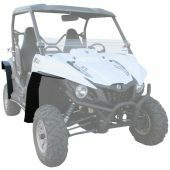 In addition, base model Wolverines will need genuine Yamaha part#'s 2MB-K8185-00-00 & 2MB-K8186-00-00 in order to install our front fenders.